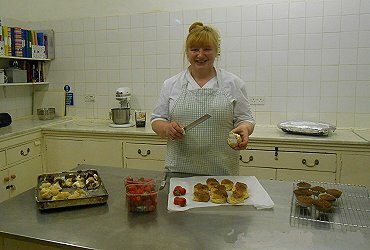 Our Cooks offer a wide variety of excellent home cooking and baking, and also cater for any special diets or individual tastes. Food is prepared from fresh ingredients on a daily basis, using local produce as available. 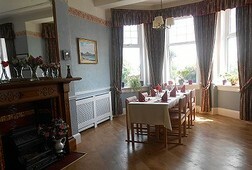 Meals can be eaten in our beautiful dining room, which in itself makes each mealtime something to look forward to. Alternatively meals can be served in the privacy of a resident’s room. Since catering plays a major part of a Cooriedoon day and for many is the part most looked forward to, below is a selection of our meals. Our catering staff follow a 4 weekly rotational menu which has been assessed as nutritionally balanced, but has plenty of treats within it! We are members of The National Association of Care Catering (NACC) and utilise their publication "Menu Planning and Special Diets in Care Homes and base our menus around these guidelines, but more essentially, The Caroline Walker Trust guidelines.